Hollywood Swinging: A Tribute to Kool & The Gang kicks off our main series on Friday, October 19. This 7 piece band is the ultimate tribute to the supergroup! Kool & the Gang won numerous awards including two Grammy Awards and seven American Music Awards. Earlier this year, they were inducted into the Songwriters Hall of Fame. 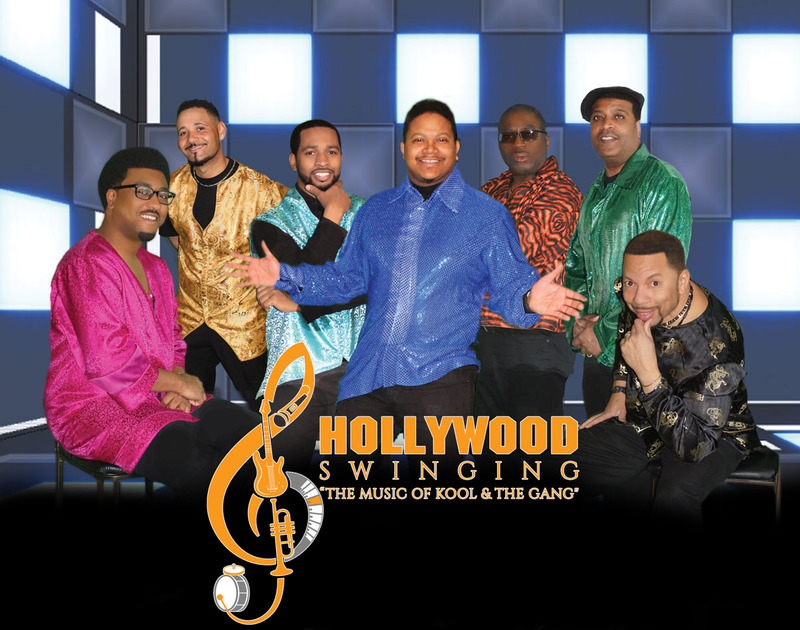 Hollywood Swinging will bring the party hits of Kool & The Gang from the 70’s thru the 80’s, combining the excitement of a live show with a super-charged dance party to remember! Hollywood Swinging: A Tribute to Kool & The Gang songlist includes, Celebration, Jungle Boogie, Ladies Night, Hollywood Swinging, Get Down On It, Fresh, Too Hot, Joanna, Tonight, Summer Madness, Cherish, Funky Stuff, Steppin Out, and many more. Hollywood Swinging’s performance was extreme perfection.